Alimony in Texas (spousal support) is often referred to as spousal maintenance. Its intention is to provide a lower earning spouse with the time needed to build and develop the skills and/or education needed to support him or herself after a divorce. Because of this intent, spousal maintenance is limited in duration and amount, and certain factors must be met for one spouse to receive maintenance payments. Temporary Spousal Support. This is a court ordered amount of financial support one spouse must pay to the other before entering a final divorce decree. Contract. Contractual alimony allows each spouse to agree to financial support payments as part of the divorce decree. This allows for more flexibility, as the paying party’s payments are tax deductible. In addition, provisions can be included that the higher-earning spouse will pay for the children’s school tuition or mortgage payment. Spousal Maintenance. This is similar to contractual alimony in that one spouse receives periodic payments from the former spouse. The difference, however, is that this form of alimony is court ordered. Spousal maintenance provides temporary support to a spouse who is unable to support him or herself. It is only ordered in limited circumstances. To receive spousal maintenance, the requesting spouse needs to show that he or she does not have enough property to provide for minimum reasonable needs. The requesting spouse can also receive alimony in Texas if he or she is unable to earn a sufficient income because of an incapacitating mental or physical disability. In addition, if the couple was married for 10 or more years, and one party is unable to earn sufficient income, spousal support may be awarded. Finally, if one spouse is the custodian of a child of the marriage who needs substantial care due to a physical or mental disability that prevents the spouse from earning a sufficient income, spousal maintenance may be ordered. When it comes to spousal support, the law in our state is significantly different than the laws in many other U.S. states, particularly the laws in the non-community property states. Under Texas Family Law Code, there is a general presumption that spousal maintenance will not be awarded. Our state’s family law courts are reluctant to grant spousal maintenance. 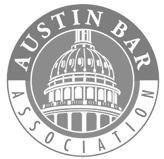 If you are going through a divorce in Austin, it is crucial that you have an understanding of how this presumption will affect your alimony case. In Texas, the spouse who is seeking alimony has the legal burden of proving that such support is both necessary and appropriate under that state’s family law code. Specifically, the petitioning spouse must be able to establish that they will be unable to provide for themselves financially following the divorce and that they also meet one of the state’s allowable criteria to be eligible for alimony payments. If you are seeking alimony, you need to work with a lawyer who can help you prove your eligibility. The duration of spousal maintenance depends on two factors. The amount and duration of an alimony award will always depend on the specific circumstances of the individual case. Though, under Texas state law, there are maximum allowable caps on court-mandated spousal support. Specifically, Texas courts have the authority to order monthly payments that do not exceed $5,000 or 20% of the paying spouse’s monthly income (whichever is smaller). Still, as that cap is relatively high, it is not a factor in the overwhelming majority of Texas spousal support cases. Regardless of which side of the alimony case you are on, you need to make sure that your financial interests are properly protected. 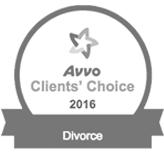 To ensure that the amount of the alimony award is fair, a comprehensive, accurate inventory and appraisement on the financial status of both parties must be conducted. No matter what side of the case you are on, you should be represented by an experienced Texas spousal support lawyer. To get the best possible result in your alimony dispute, along with your wider divorce case, you need to work with a family law attorney who has the skills and experience needed to carefully analyze your situation in order to help you prepare the most compelling presentation of your claim. With alimony cases, the most important first step is to develop a full, detailed accounting of each party’s expenses, income, assets, and projected future earnings. If you are seeking alimony from your former partner, you need to hire a Texas alimony lawyer who can prove that you have limited earning potential, that you actually qualify for spousal maintenance under Texas regulations, and that your former spouse has the financial capacity to provide such support. Alternatively, if alimony is being requested from you by your former partner, you need to hire an Austin, TX spousal support attorney to review their petition, and determine how much, if any, alimony, you are actually required to pay under the law. Unfortunately, in some cases, people face claims for alimony that are far too high. If allowed, these overly burdensome alimony payments will leave the paying spouse with limited resources to support themselves. Your family law attorney will make sure that you are not being overcharged alimony payments. When Can Alimony Be Modified in Texas? ● The spouse who is receiving alimony getting remarried or entering into a new ‘supportive’ relationship. 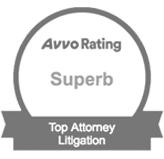 Contact Our Top-Rated Texas Spousal Support Lawyer Today. At the Law Office of Ben Carrasco PLLC, we have extensive experience handling all sides of alimony cases. Our family law team understands just how complicated and confusing spousal support can be in Texas. If you are going through any type of alimony/spousal support dispute, please make sure you choose a qualified family lawyer to help you properly navigate your case. To get a fully confidential, no obligation initial family law consultation, please do not hesitate to contact us today. 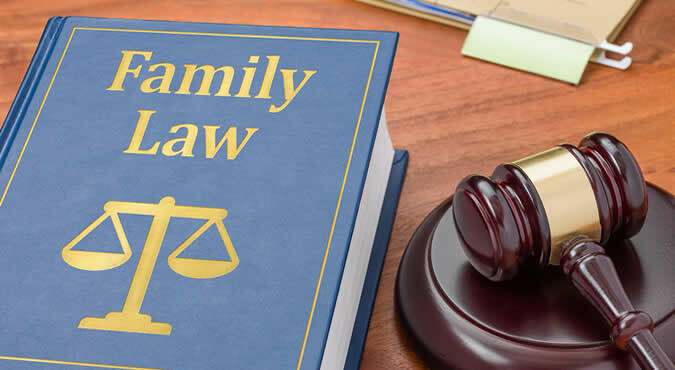 From our office in the heart of Austin, we serve family law clients throughout the region, including in Travis County, Burnet County, Williamson County, and Bastrop County. Need Help With Alimony in Texas? Ben Carrasco is an experienced, dedicated Austin alimony lawyer who will fight to get what you deserve. Call Ben today at (512) 320-9126 or request a consultation online!